Shukashaka may be fun to say, but it’s not the right name of this traditional Israeli dish. 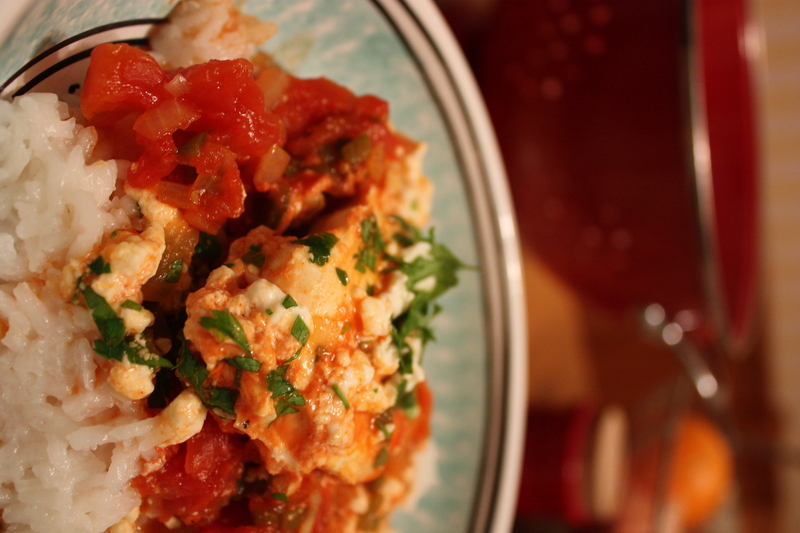 It’s actually called Shakshuka, but who cares about the name? Just take a bite and you’ll be in bliss. Call it Shukashaka, call it what you will. Whether you call it Shakshuka or Shukashaka, just for fun, this traditional Israeli dish is as fun to say as it is to eat. Phew. I made it! And in one sentence, no less. Much better. Now that I’ve more than proven my point on my inability to be brief, let’s eat. Add tomatoes and their liquid to skillet, crushing the tomatoes with your hands before placing them in the pot. Add 1/2 cup water to the empty can and swirl around to pick up any leftover liquid, add this to skillet, reduce heat to medium, and simmer, stirring occasionally, until thickened slightly, about 15 minutes. Season with salt, to taste. Gently crack eggs over sauce so that eggs are evenly distributed across the surface. Cover skillet and cook until yolks are just set, about 5 minutes. Using a spoon, baste the whites of the eggs with tomato mixture. Be careful not to disturb the yolk. Sprinkle shakshuka with feta and parsley and serve with pitas, or crusty bread for dipping (or serve over rice).